What is Family Initiative Residences, Inc.? FIR is an organization composed of friends and family members of the mentally ill and dedicated to improving residential services for them. Why is There a Need for FIR? Families have been the primary caretakers of many of their ill relatives. As the family care providers age, the question of, “What will happen to my/our mentally ill child when I/we are no longer here?” needs to be answered. If family burdens are to be reduced, the availability of appropriate and affordable housing in the community is a necessity. What are the Residents of FIR Like? People with mental illness have the same needs as everyone else. They need a place to meet their daily living needs, they need socialization, education, jobs and support from those in their environment. What Does a FIR House Look Like? FIR owns and staffs a sixteen (16) room permitted by the State of Georgia Department of Community Health historic home located in an attractive Historic neighborhood with walking access to downtown shops. (Personal Care Home or Group Home). (PCH) FIR also leases a 22 unit apartment complex with adjoining property to the main house. (Independent Housing Program) (IHP)The joining of the two properties creates a campus atmosphere. We additionally have an affiliate membership for residents who have moved on to more independent living. Presently, there are 26 men and 9 women living at the FIR House. What Services are Available for FIR Residents? Assistance, as needed, in the following activities of daily living is provided: • Housekeeping and home/apartment maintenance skills, including use of laundry equipment • Meal planning, preparation and nutrition • Medication education • Financial management, including, as appropriate, techniques of consumer purchasing, banking and budgeting utilization of other community services and resources, such as public transportation, libraries, public health clinics, Social Security benefits and other appropriate services provided by public and private agencies. • Support in age-appropriate human growth, development of socially acceptable behaviors (including sexuality) and interpersonal skills and eliminating maladaptive behaviors. • Use of recreation and leisure time • Structure in daily living by helping residents find jobs, appropriate day treatment programs, volunteer jobs, schooling and recreation and leisure time activities. What are the Resident’s Responsibilities? Each resident currently pays fees for room and board. This covers the operating expenses. These funds come from private or from Social Security Disability funds and other government sources. Each family is asked, as needed, to cover unexpected operating expenses. Funds are also solicited from many other sources such as friends, relatives, fraternal organizations, yard sales, employee services organizations, craft fairs, etc. There is an Executive Director who is responsible for managing the organization and supervising the staff and residents. 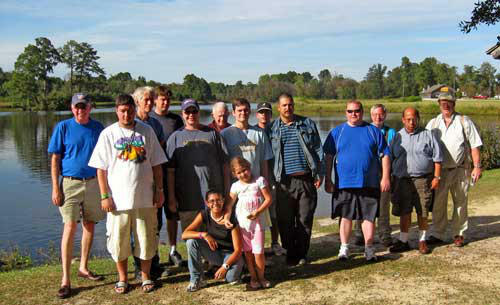 The staff consists of Managers, Activity Directors and weekend staff persons. All personnel give their various talents in support of the mentally ill. They strive to provide a firm structure, a moderately stimulating and emotionally benign environment for the ill resident while minimizing the inevitable stress and constriction on the other ill residents. Such housing enables the resident to be productive and active in the community and to live as normal and fulfilling a life as possible under the circumstances. What is Family Initiative Residences, Inc.? Why is There a Need for FIR? What are the Residents of FIR Like? What Does a FIR House Look Like? What Services are Available for FIR Residents? What are the Resident’s Responsibilities? Who Pays for FIR? How is FIR Staffed?